News and Review: Donut Nuggets at D-Luxe Burger in Disney Springs! Director Rian Johnson shares behind-the-scenes photos from the set of Star Wars: The Last Jedi. Let the lighting of the Sleeping Beauty Castle at Disneyland put a twinkle in your eye. WDW News & Rumors: Epcot & Magic Kingdom Construction Permits; Coco Ride? Take a Holiday Ride on the “Jingle Cruise” from Home! CHECK IT OUT! Gingerbread Funnel Cake Fries in Disney California Adventure! Is Disney’s Latest Move Greedy or Brilliant? Star Wars fans were in for the Star Tours ride of their lives when Luke Skywalker himself showed up! Watch Holiday Wishes from Mickey’s Very Merry Christmas Party! EAT THIS at Epcot Festival of the Holidays! DFB Video: EVERYTHING You Need to Know About Mickey’s Very Merry Christmas Party! Ring in the season with a new clip from Olaf’s Frozen Adventure! Where Will the New Toy Story Mania Entrance Be in Toy Story Land? Disney Food Hacks: Mickey Pretzel and Chocolate! News: 2017 Mickey’s Very Merry Christmas Party Eats! Disneyland Update – It’s Beginning To Look A Lot Like Christmas! Frozen Inspired Cupcakes to Make at Home! Disney News Round Up: Holiday Mode Activated! News! Disneyland Festival of Holidays BOOTH MENUS AND PRICES!! DCA Update – Pixar Pier, Is It Enough? DFB Video: Best Disney World Restaurants When You’re on a Budget! Is Universal Seriously Gearing Up to Take On Disney in Their Own Backyard? Whimsical Socks are Magic for your Feet! UStar Celebrates The Little Mermaid’s 30th Anniversary With A New Makeup Collection! VIDEO: AllEars TV – Where Should You Stay When You Visit Disney World? What All is at Disney’s Fort Wilderness Resort and Campground? One of Magic Kingdom’s Character Cones has Flown the Coop! Easy to make Disney Easter Eggs! Why Is It Called That? The Stories Behind Disney’s Best Restaurant Names! 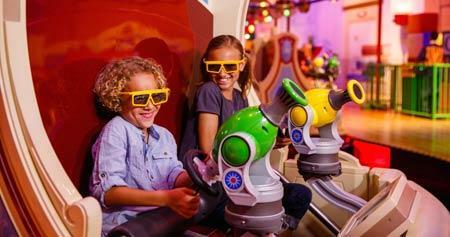 What’s New at Disneyland Resort This Week! D23 Gold Members: Limited Number of Discounted D23 Expo Tickets Available! Show Off Your Love For Cooking (And Remy) With These Ears! Menu Mania: More Easter and Mother’s Day Specials, Plus Additions, Updates and More! "What's up Mickey" is an unofficial Walt Disney World fan site and is in no way part of The Walt Disney Company; my family simply loves Everything Disney! 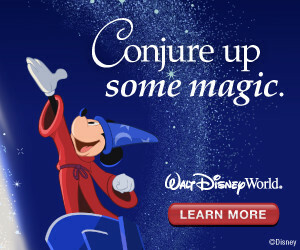 This site is not affiliated with, endorsed by, or in any way officially connected with the Walt Disney World Company or any third party site listed and/or linked to above. All information on "What's up Mickey" is unofficial and subject to change at anytime.